Ninh Binh province is famous for day trippers from the capital of Hanoi, and there are now high end properties which can satisfy even the most sophisticated travelers. 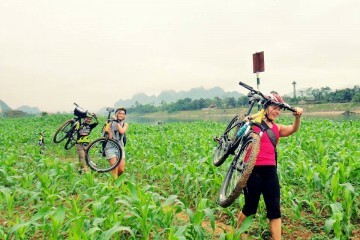 This luxe adventure in Ninh Binh has been designed for you to discover the best that Ninh Binh has to offer by bike. 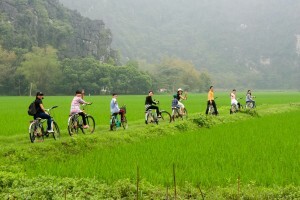 You will discover the charm of Ninh Binh by bike as you visit Van Long Nature Reserve, Cuc Phuong National Park, Bai Dinh Pagoda (the biggest pagoda in Vietnam), Hoa Lu (the ancient capital), Trang An (a new candidate for Natural World Heritage Site listing), Tam Coc and Bich Dong Pagodas, and the famous Phat Diem Cathedral. This three day excursion is for all types of travelers, including families and small groups. You will stay at the best available hotels in the region. Further, you will be fully supported by a van and a guide who is a cycling enthusiast with extensive experience and a passion for providing top notch service. Cycling means you are truly among the friendly and welcoming local people. You’ll be greeted by the curious children who often run out of their homes yelling ‘hello, hello!’ or “Tay” when you pass through their village. Our tour guide will do a fantastic job of guiding you around this beautiful countryside, explaining the history and culture of his people. 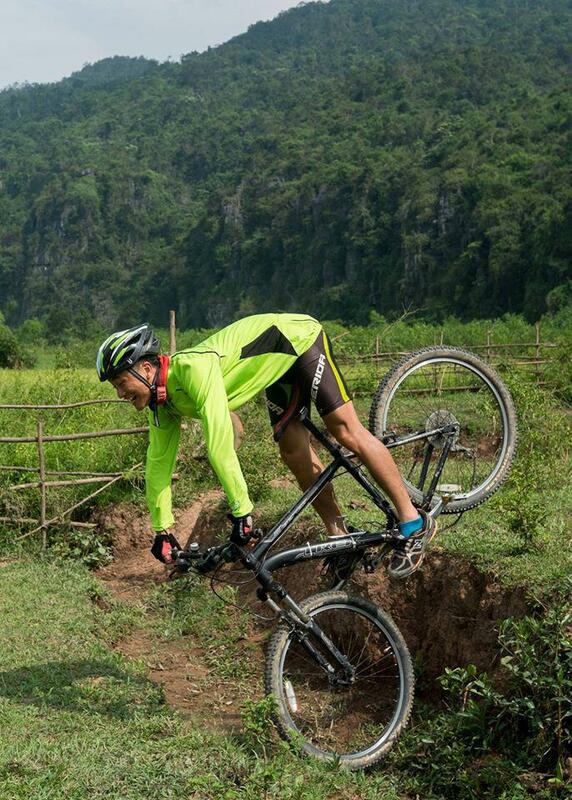 Our bikes are top quality, lightweight, and can be adapted according to the terrain. We can also accommodate riders of all sizes, including children. 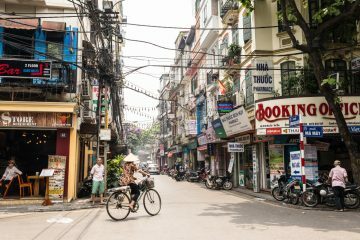 You will be picked up at 8:00 am at the hotel and leave Hanoi for a two hour drive along Highway One (formerly Mandarin Road). You will start cycling from Dich Long Bridge and bike on the dyke of Van Long Nature Reserve. You will see caves, green rice fields, limestone peaks and the rural life of the locals. Your final biking destination of this morning will be your hotel. In the afternoon (following a short transfer by van to the Cuc Phuong National Park) you will visit the Primates Rescue Center. You will then cycle up hills further into the jungle (18km), which is a challenging ride, but worth it once you find yourself in the middle of the jungle, listening to the musical sound of the local birds. Next, you will go back to the comfort of your hotel where you will enjoy the spa and dine in style. You will also have the option to take a boat cruise or do absolutely nothing and simply relax before an overnight stay. You will travel by van to Bai Dinh Pagoda, which is the biggest pagoda in Vietnam. From here, you will start cycling on the countryside road to Hoa Lu, an ancient citadel of Vietnam, dating back to the 10th century. You will stop here in order to visit Dinh and Le Temples, as well as Nhat Tru Pagoda (or the One Pillar Pagoda) and Yen Ngua Mountain, which is reached on foot. Then you will continue riding through the limestone peaks to Trang An and then Tam Coc, passing rice paddies and rural villages. You will have lunch in Tam Coc near the boat pier before continuing biking to explore Tam Coc, Thai Vi Temple, Bich Dong Pagoda and more. After breakfast at your hotel, you will then cycle to Phat Diem Stone Cathedra (the centre of Vietnamese Catholicism and referred to as the Rome of Vietnam) where you will take a guided tour around the immense 19th century structure. You will also visit a factory where villagers produce handicrafts for the churchgoers. The beauty of today’s cycling is that you will ride through typical Vietnamese villages and see wooden bridges, river views, while visiting farmers’ homes, where you will get a real impression of the Vietnamese landscape and its people. You will drive back to Ninh Binh for lunch and at 3 pm we will load your bikes on our van and take you back to Hanoi where you will arrive at around 5 pm. Personal expenses such as shopping; telephone, laundry and bar bills etc. + Minor program changes are sometime necessary, depending on road conditions and weather. + This itinerary allows for 2 days on the cycling section. You will be able to decide for yourself at any time during each of these days how far you want to cycle. Average daily cycling distances are approximately 40 -100 km. These distances may vary according to weather, road conditions and group fitness and preferences. This is a sightseeing cycle tour, not a marathon or time trial.